Print of Snowbird 431 Air Demonstration Squadron by Yvette Moore. 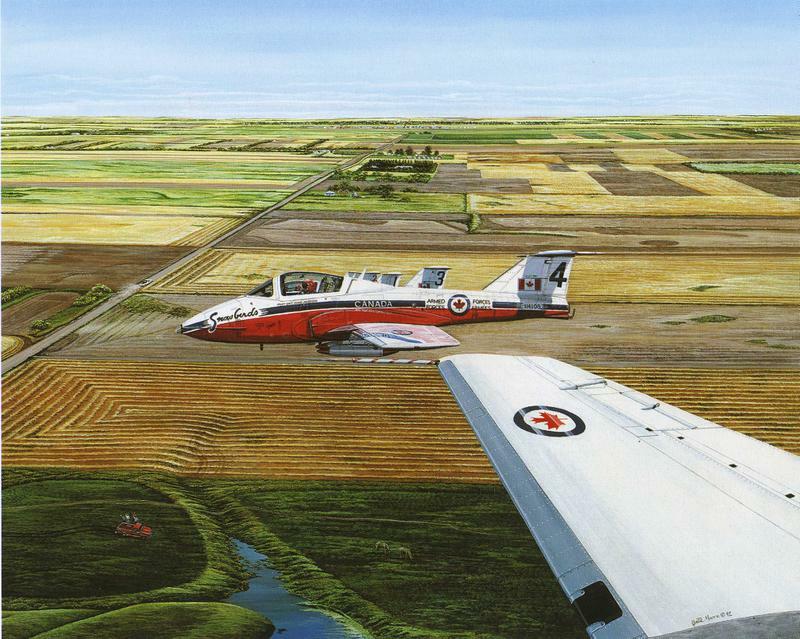 Snowbirds 431 Air Demonstration Squadron exemplifies Moore’s narrative painting style and subject as she captures several quintessential prairie icons – the flat patchwork quilt farmland, the isolated homestead, the big sky, as wells as CFB Moose Jaw’s own aerobatic Snowbirds team. Moore was commissioned to create the official portrait of the former Lieutenant Governor of Saskatchewan and has received numerous awards throughout her career including the prestigious Mr. Christies Book Award for outstanding achievement for illustration in Canadian Children’s Literature, for A Prairie Alphabet.